We will show you Ahmedabad with the ride in an E-Rickshaw. This is unique rickshaw tour, in which you can enjoy the eating of food at famous food shops of Ahmedabad, along with Ahmedabad’s heritage. 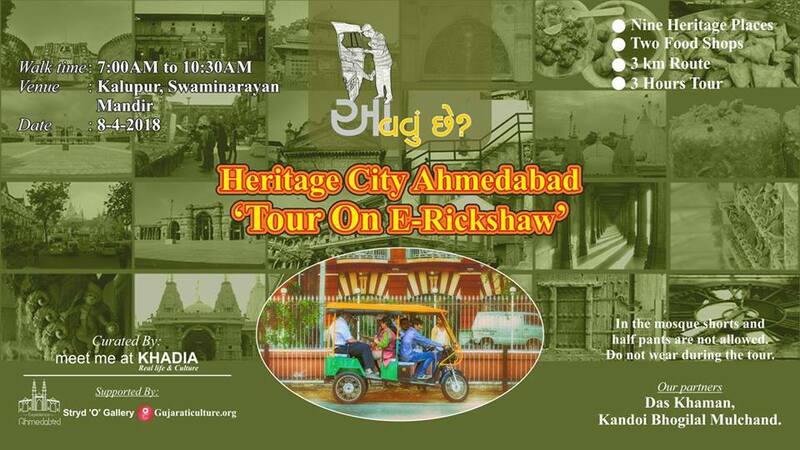 This tour will cover main heritage places of heritage city of Ahmedabad. Take a walk down towards various food zones of The City of Joys and you won’t be disappointed. There is no love more sincere than the love for food and a visit to Amdavad is incomplete without an introduction to traditional Gujarati food. Note: In the mosque shorts and half pants are not allowed. Do not wear during the tour.